IOT has you covered for IT services in the Twin Cities area. You’re business runs on technology, but if you’re like most businesses, IT services are not your first priority when you open up for business each day. Owners and managers are often unaware of the small failures or work-around solutions that employees put up with each day. These small hassles may go unannounced, but they can have a big and noisy impact on your bottom line! IOT is an experienced solutions provider for small business computer and networking services. Our knowledgeable and proactive customer support team will work to quickly resolve any network and computer issues that you may be having. Our goal is to keep your equipment running, improve the performance and efficiency of your team, and to reduce the overall cost of your network operations at the same time. Not every business needs a 24/7/365 managed network plan…but some do. Our real world approach to IT services and network management ensures each client receives a customized solution that works best for their budget and business goals. or click below to contact us for an IT serevices quote. With over 24 years in business, we know how to support businesses and organizations for their technology and computer needs. 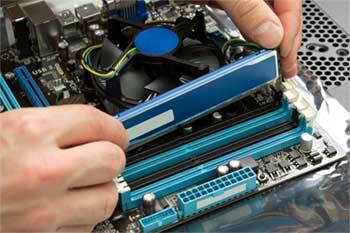 Our services are available on most HP, Dell, Lenovo, Apple and other popular technology brands. Whether you want an annual maintenance agreement, managed services 24/7/365, or just a trusted service tech you can for all when you need your computer serviced – you can count on IOT. From home office to corporate headquarters, we can help with your business network. Our support team can help you to install new workstations, add laser printers, connect to scanners, deploy wireless networks, or anything else you need for technology management and administration. We have many customize maintenance and repair programs, with flexible options to fit any situation. 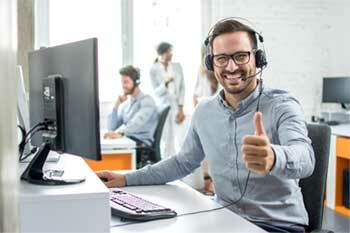 Customers can enjoy assistance for basic computer problems, help to troubleshoot errors and problems, and of course any service and repair situation that requires parts and labor to fix the problem. Since 1995 we’ve been a part of the local community, proudly serving businesses from Minneapolis, to St Cloud, to Rochester, and everywhere in between. Our fast and friendly service technicians can come to your office and fix most major brands of computer, laptop, and network devices. As businesses continue to adapt the latest in mobile technology, our support and services continues to evolve to fulfill your needs. We provide fast repair services for all your mobile devices, including Apple iPhone, iPad, Samsung Galaxy series, Chromebooks, and more! or click below to contact us for an IT services quote. We strive to make every customer happy, and take pride that so many of our satisfied customers are willing to share their testimonials and reviews of our service online. 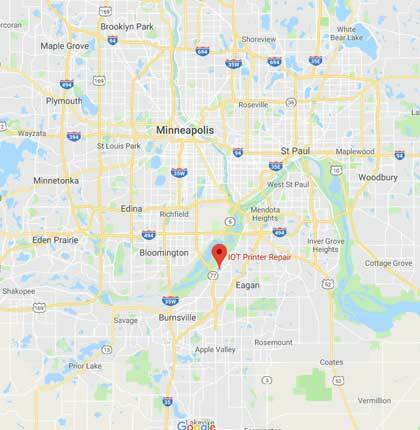 We’ve served the Twin Cities since 1995, and we’d love the chance to impress you with our team, our products, and our services. Our on-site computer repair and business IT support services provide an affordable alternative to staffing your own internal IT department. If you’re the type off office that has someone “kind of” handling IT related issues, then this is going not only make them more productive (by not doing any more IT work) but also get your problems solved faster, and with an educated and proactive approach. IT support plans are flexible and affordable, focused on helping you grow with a reliable network and IT environment in place. Downtime in any form will hurt productivity and incur undue costs, whether it’s a software issue, a failed component inside of a computer, or a network services related failure. Having a full service solution that includes remote support, proactive management, and emergency on-site service when necessary, is critical to keeping your costs predictable and manageable, with up-time and productivity at a maximum. You can learn more about our company and our team by reading our blog, or by checking out the other service we offer.